Own the Sand! 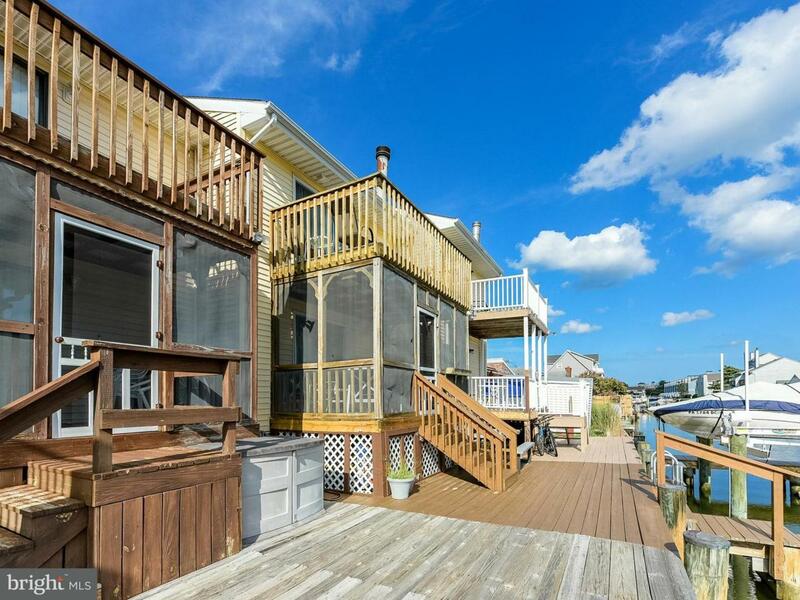 Land included with this 2-level Townehouse, living and relaxing on the Water Front with 2 BOAT SLIPS! Known as "Westport", this is the center of 3 contiguous units. 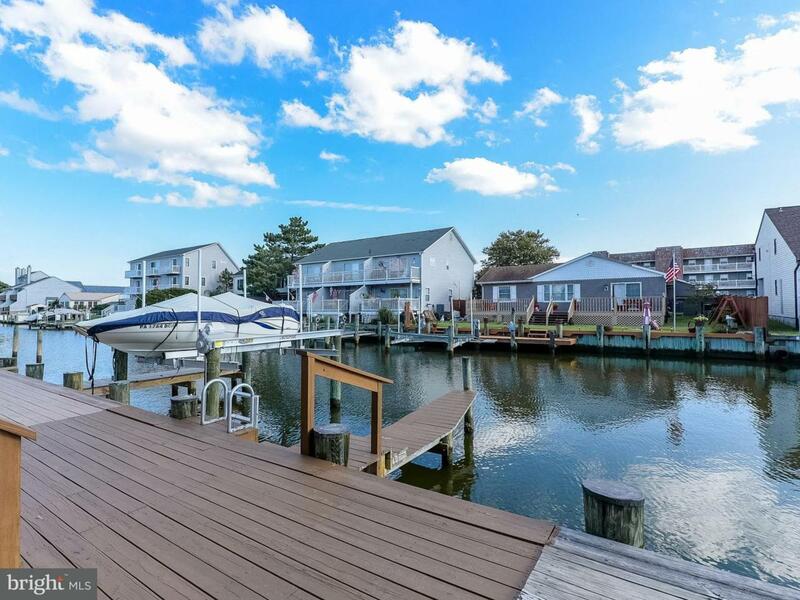 2 parking spaces, 18' X 100' lot, water front 8' X 11' screened porch with direct docks access. Built 1983 offering 1,332 +/- sqft, larger than most comparable units. 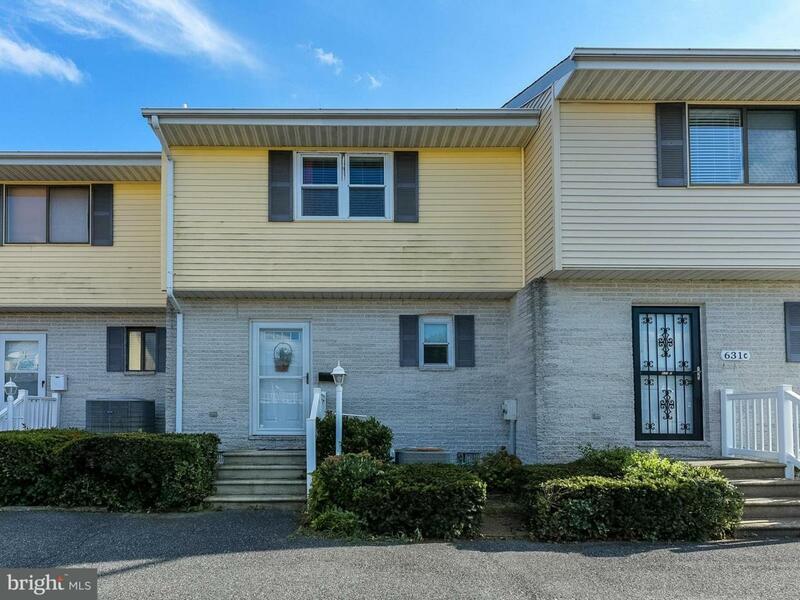 2 Bedrooms on upper level, both with Full Baths plus a Hallway walk-in equipped Laundry/Storage Closet and attic hatch; Southern exposure Master Bedroom with Sun Deck. Main level offers Kitchen with updated 2017 stainless steel appliances, tiled backsplash, large breakfast counter to accommodate 4. Living Room /Dining Room combination free-flowing open design with wood-burning fireplace, closet wet bar, updated slider to screened porch, add the convenience of the 1/2 Bath/Powder Room. 1st level has been updated with higher grade vinyl plank flooring, ideal for Beach Life sand and water. Water heater replaced 2017, HVAC on maintenance service contract. Owner's Resort 2nd home, recently relocated to the southwest, too distant to continue enjoying. As a rental, expect $2,100 +/- prime rental rate. Canal #33 @ 30' X 2,700', average 3.8' water depth. Macadam Parking Lot with 6 spaces, storage under Screened Porch, exterior security lighting, access ladder at dock, sliders and windows replaced. Real Estate Taxes @ $242/month, NO Condo Fee. Pre-Inspected plus 1-year enhanced Home Warranty. Subject to Declaration 948/161-164 shared maintenance agreement. 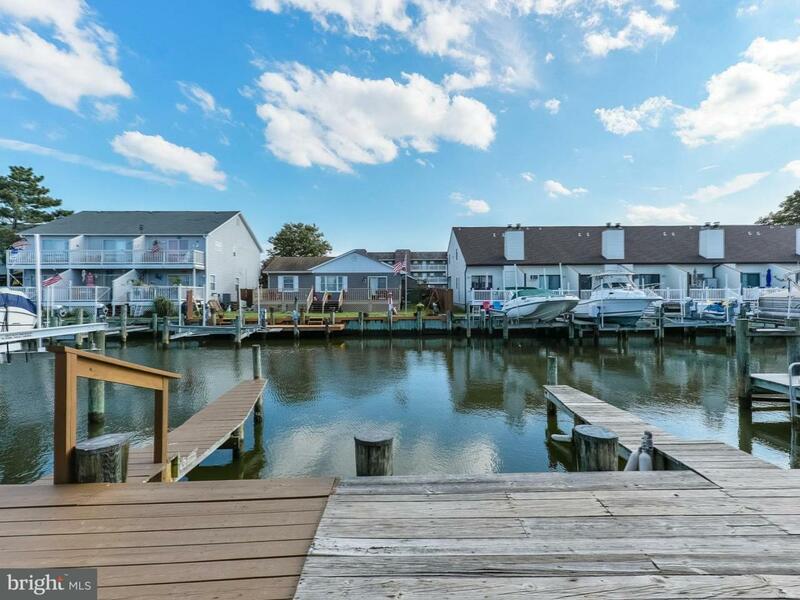 Beach Living Conveniences: City Art League, Bark Park, City "Little Salisbury" Park with Tennis and Playground; safer crossing of Coastal Highway to the beach at signalized traffic light. Exclusions ITEMIZED INVENTORY Provided With Specified Minimal Exclusions. Inclusions ITEMIZED INVENTORY Provided With Specified Minimal Exclusions.